I’m a gringo who can speak & understand Spanish as a 2nd language, but my skills are rusty & native speakers have told me I have a strong accent. I’ve taken numerous Spanish CD programs during the last 2 years. This program is by far the most challenging. You need to understand Spanish or this program won’t work for you. If you can watch a Spanish TV station and at least understand most of what is being said, this program will work for you. If not, go for something more intermediate. There are 8 CDs in pairs of 2 CDs. In the first set, you listen to a dialogue of native speakers in “real-time” speed and then the same dialogue is spoken more slowly for you to repeat in Spanish. In the second set, a very similar dialogue is presented along with grammatical lessons and more repeating or translating sentences. My only frustration with the CDs is that I’m quite often not quick enough to repeat the entire phrase before the CD moves on to the next phrase. Some of the sentences are so long that I wouldn’t be able to remember the entire sentence in English. This is easily overcome — I’ve just had to replay several lessons over and over before I was able to “check off” all my comprehension, translation and speaking assignments. For added interest, each dialogue is set in a specific country and centers around a genuine cultural point of interest. The book is very helpful. It expands on local dialects and regional interests for the targeted country in each lesson. The book includes exact translations of the dialogues on the CDs. This is the best audio course I’ve found to practice and improve my Spanish skills. I highly recommend it for gringos who can already communicate and want a truly advanced challenge to expand vocabulary & speaking skills. 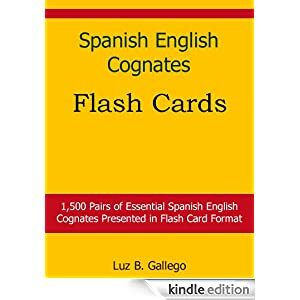 I read, write and speak Spanish reasonably well, but like many individuals whose first language is English, I have my moments trying to follow Spanish spoken to me. This set has really been helpful in “tuning” my ear to listen to the spoken word as I prepare for another trip to Mexico. It is also a pretty decent review of Spanish grammar and vocabulary. Because I am perhaps more visual, I find the written materials to be a great help for my learning — I really have not been successful with just oral materials. I actually purchased this after using a Living Language beginning French set and found it very helpful in beginning to recapture the French I studied 30 years ago in high school and then 20 years ago in a night course. I am really enjoying these CDs…some people said that the Spanish was spoken too quickly…if that’s your feeling, I say you’re not an advanced speaker and you’d be better off looking for an intermediate level product. I wish that actual native spanish speakers spoke so clearly! It’s true that folks do speak more quickly than your average spanish language training CD, and that’s a good thing - the hardest part of “speaking” Spanish, for me, is understanding what other people are saying! Also, some reviewers mentioned that the CDs use the “vosotros” form - that’s true, it does, but not too much, and it is used in some parts of the world, so I think it’s a plus to have it in there. Overall, I would give this product 4.5 stars - but that’s not an option, so I’m going with 5. I would like to have seen more content - more practice with grammar rather than vocabulary, etc. - but overall a great product for intermediate-advanced students. At the price of ~US$80, this is a book that I am feeling comfortable to recommend to advanced Spanish learners.